That picture above? The one with jagged, cliff-like sand dunes overlooking vast blue seas? That, of course, is . . . Indiana. The flat Midwestern farming state most associated with Hoosiers and the Indianapolis 500. This is a shot of the breathtaking Indiana Dunes National Lakeshore, along Lake Michigan. Yes, Indiana has beaches. 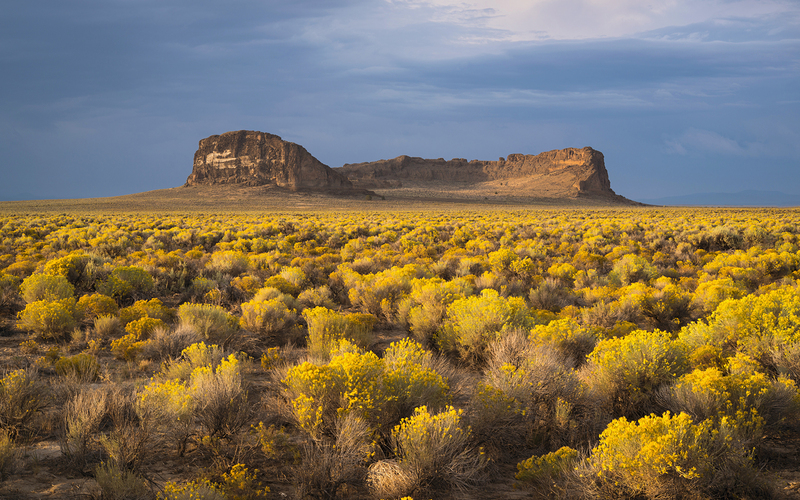 And Maryland has mountains; Washington has deserts (well, technically, steppe). The United States is so massive and boasts such a stunning variety of landscapes ("amber waves of grain," "purple mountain majesties," etc.) that it sometimes seems like a bunch of different countries. But often overlooked is the fact that many individual states themselves feature a surprising range of natural and man-made scenery. "Farm states" are more than rows of corn; "ocean states" are more than beaches. Scroll through these stunning images and see if you can guess the states they depict before reading the captions—the answers might just surprise you. When people think American desert they think, Nevada, Arizona, maybe some parts of California. They don’t usually think of green, piney Oregon. But much of the state is what’s called high desert, which you see here, mostly towards the central part of the state. New Hampshire brings to mind tree-covered mountains, log cabins, maple syrup, snow. It does not bring to mind surfing. 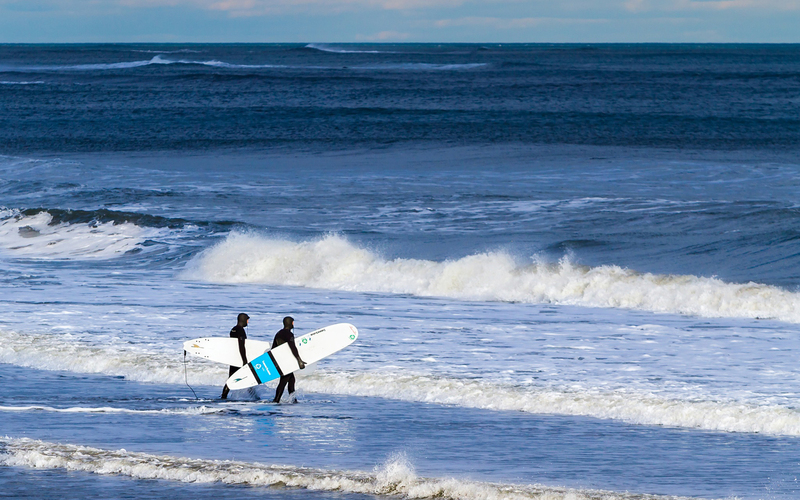 But the New England state has a sliver of Atlantic coast and a couple of booming surf towns. 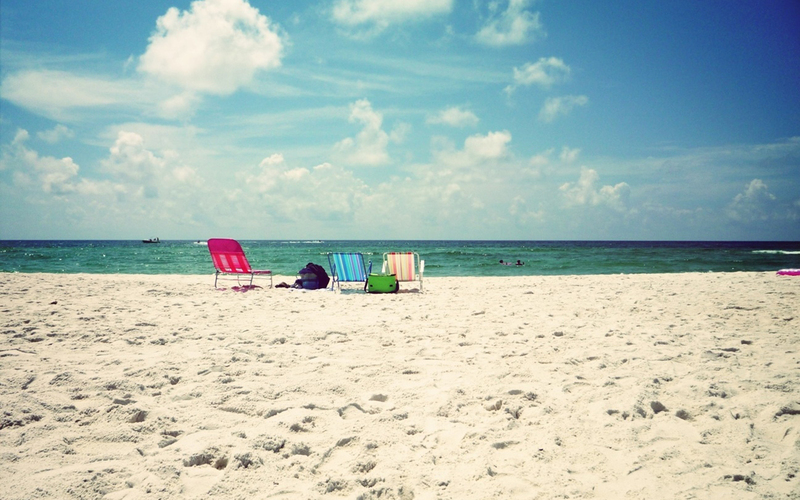 Pictured here is Hampton Beach. Lush greenery and beautiful wildflowers? 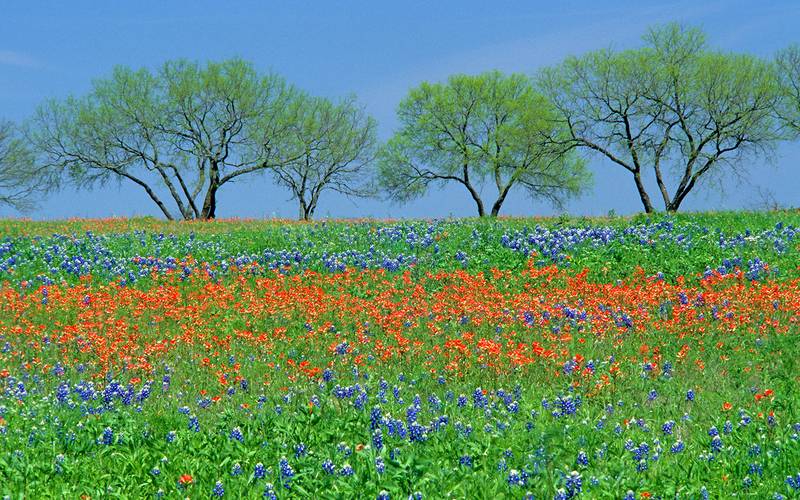 Not your typical Texas scene. But Texas this is, in a shot of the state’s hill country. There’s far more to Wisconsin than dairy cows, farmland, and Packers fans. 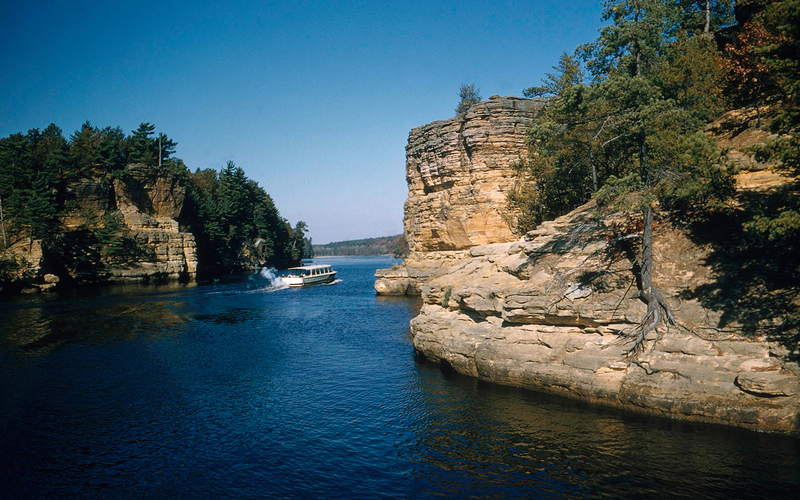 This stunning rocky façade is part of The Dells, a scenic section of the Wisconsin River known for its sandstone cliffs and blue waters. 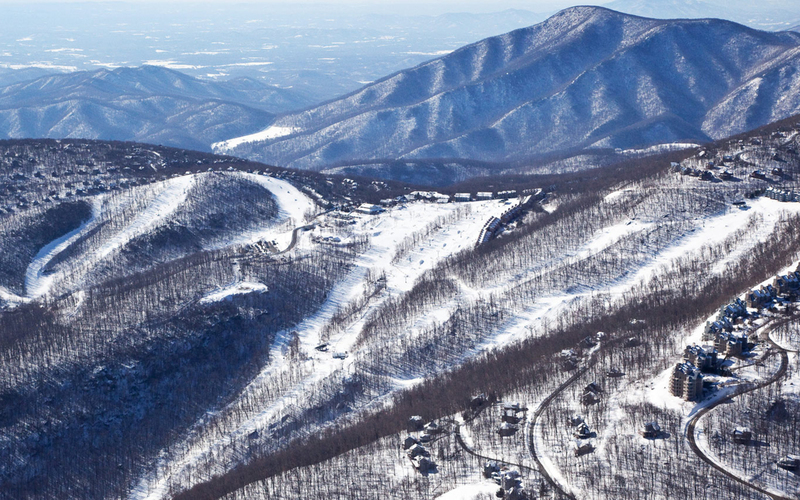 You know what they say: “Virginia is for lovers.” Ski lovers, apparently: The snowy mountains you see here are not in Colorado or Vermont; they’re part of Virginia’s Wintergreen Resort, set in the Blue Ridge Mountains. Bone-dry desert. Las Vegas lights. A big old dam. Tropical beaches? Well, kind of. 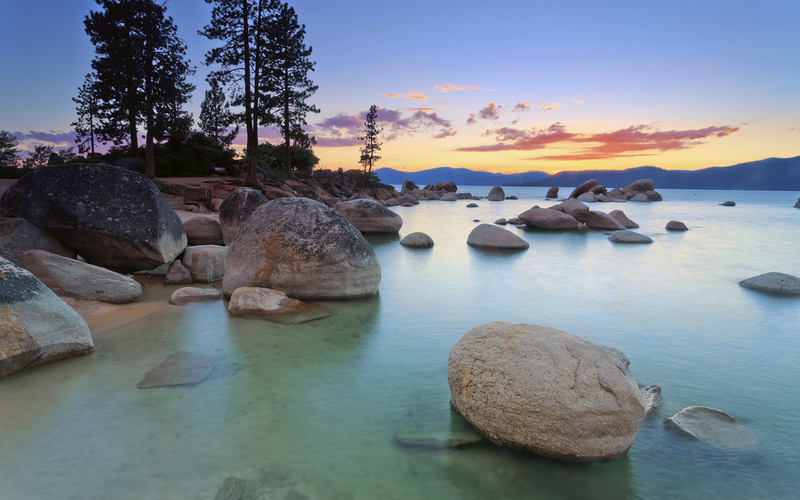 These stunning blue-green waters are part of Lake Tahoe, which Nevada shares with California. Okay, California is so big it pretty much has it all: arid desert, stunning beaches and coastlines, fertile wine country. But people tend to forget that “all” includes some pretty intense ski mountains. 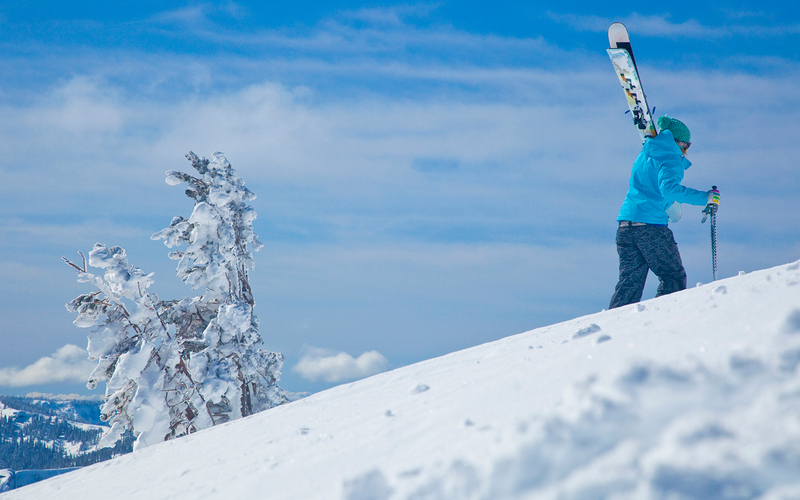 Pictured here is Squaw Valley. Delaware gets a bit of a bum rap. 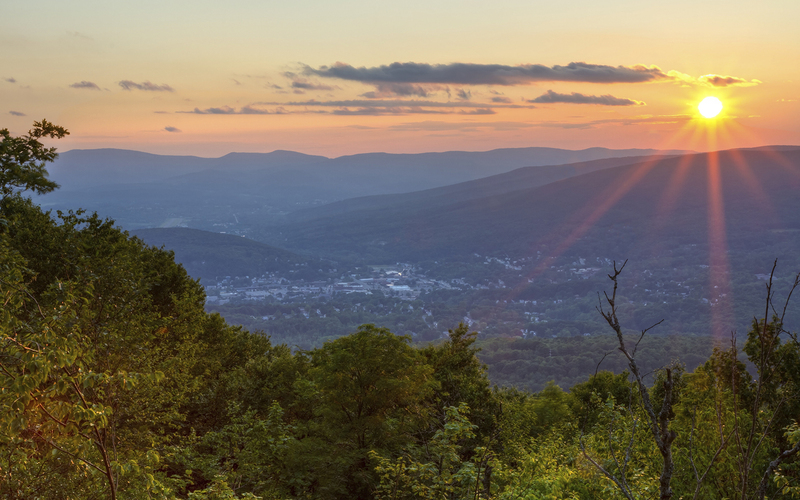 It’s often overlooked as a travel-through state with nothing but chicken coops, but it’s so much more—including the very first state. It also has beautiful beaches and bona fide cities, and more than half of publicly traded U.S. corporations are incorporated there. 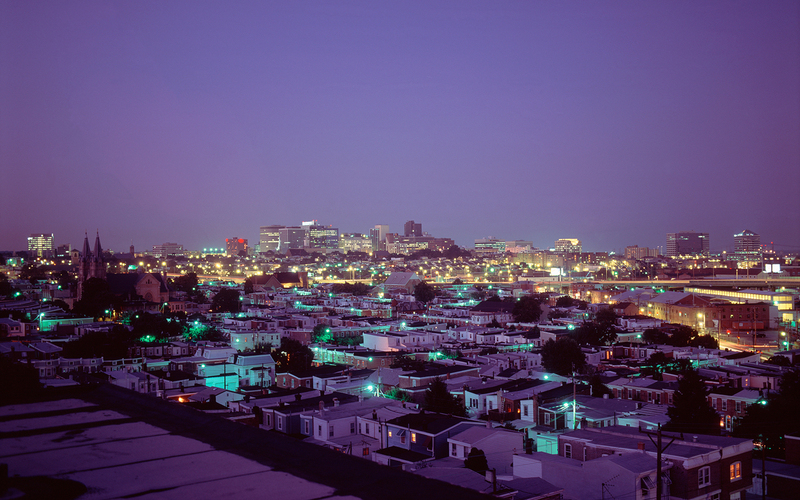 Seen here is Wilmington. No, this is not New York City’s SoHo neighborhood. 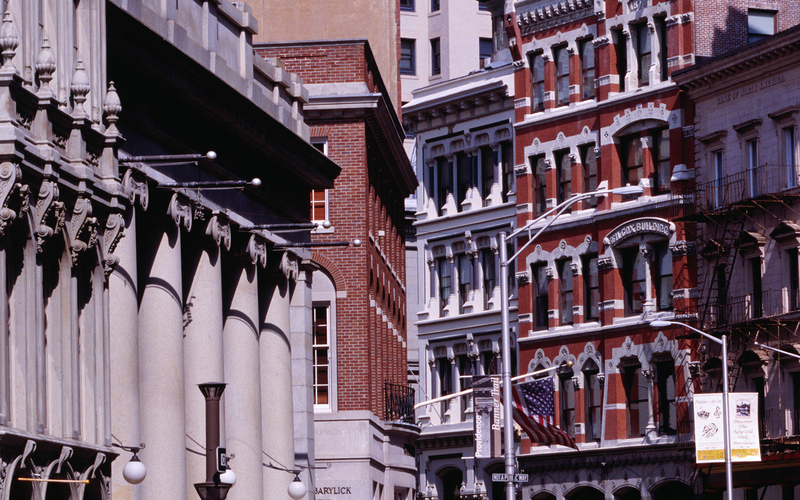 It’s Rhode Island, specifically a shot of contrasting architectures in the capital city of Providence (if you looked closely at the banner in the picture, you probably already guessed that). This alpine-looking scene is actually set in the land of Amish Country and the City of Brotherly Love: Pennsylvania. 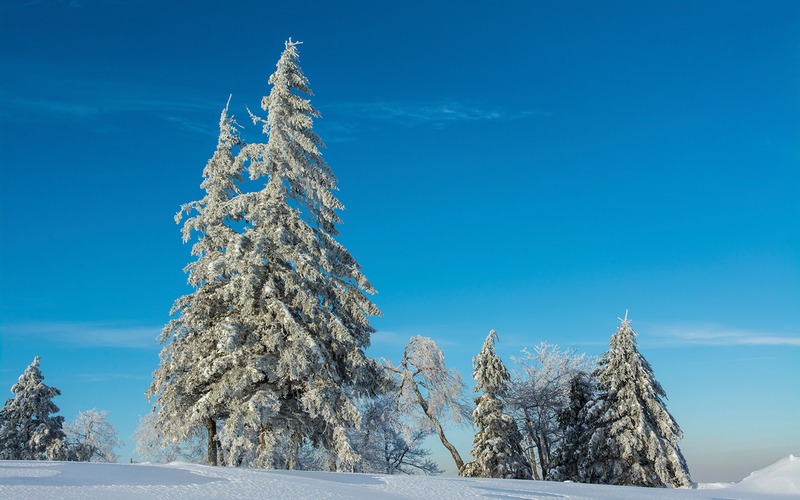 The Pocono Mountains are home to some ski resorts. Pictured here is Blue Knob, located a bit farther south, in the Allegheny Mountains. Florida Keys? Nope. Outer Banks? Nope. This is tiny Dauphin Island off the coast of Alabama. Think Iowa and you probably think farmland. Lots and lots of farmland. You probably don’t think of urban skylines. But the Hawkeye State has sizeable cities. 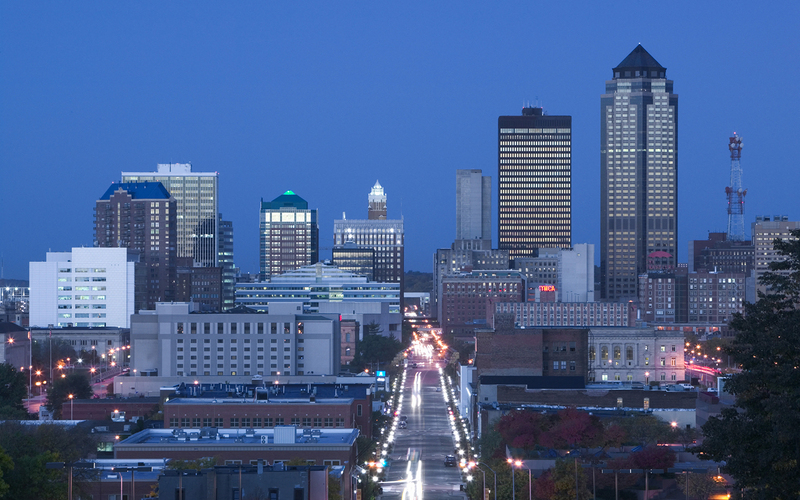 This one is Des Moines. 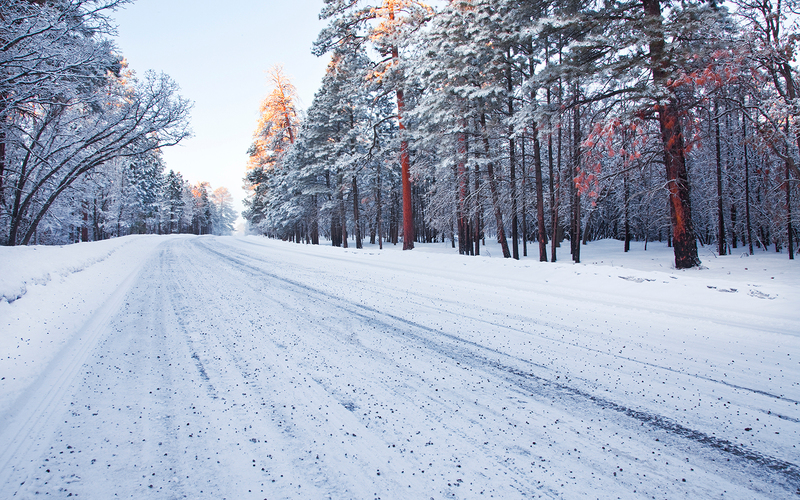 If you were magically transported to this snowy road, you’d know you were in Arizona, right? It might seem impossible, but the state of red desert, prickly cacti, and the Grand Canyon actually sees snow, usually in the winter months in the Flagstaff area. This mountainous scape is part of the Bay State: Massachusetts. The eastern portion of the state features Boston, Cape Cod, and islands including Nantucket and Martha's Vineyard. Go west, though, and you'll eventually hit the Berkshire Mountains.